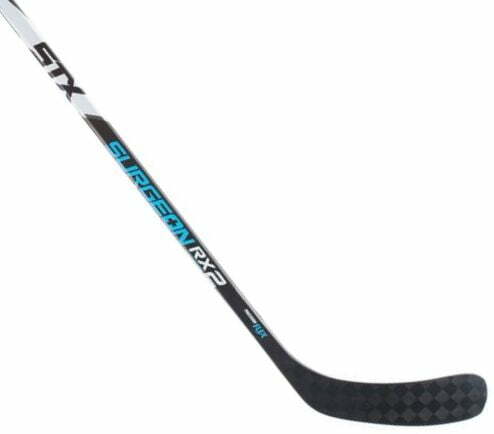 STX Surgeon RX2 Intermediate Hockey Stick | Sports Etc. PuregripTM Technology gives you an entirely new way to take control of the game. Its innovative, ergonomic design on the underside of the shaft fills the void in your hand left by a traditional shaped hockey stick.The angular shape on the bottom of the stick maximizes hand contact points for advanced stick control and quick, responsive play. The new PurebladeTM Technology provides a lighter and more responsive blade by combining 18K and 3K carbon fiber weaves, achieving the ultimate in performance and feel. 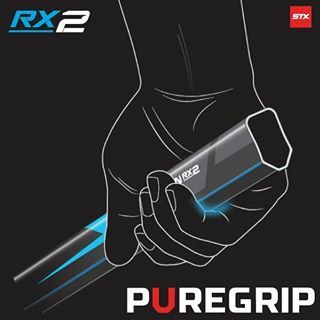 Sports Etc Performance To Value Rating– 9 out of 10- The STX Surgeon RX2 is one of the most unique sticks on the market. The puregrip technology gives the stick a different feel than a traditional hockey stick. Perfect for any player playing at an elite level.